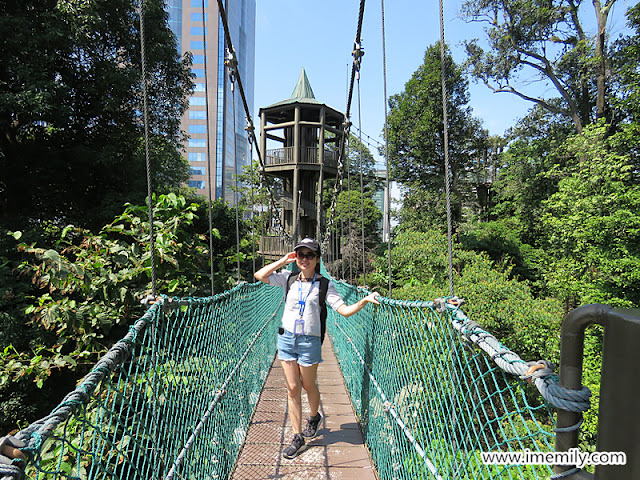 This time I will share about a famous street food I visited with Santai Travel Magazine team. 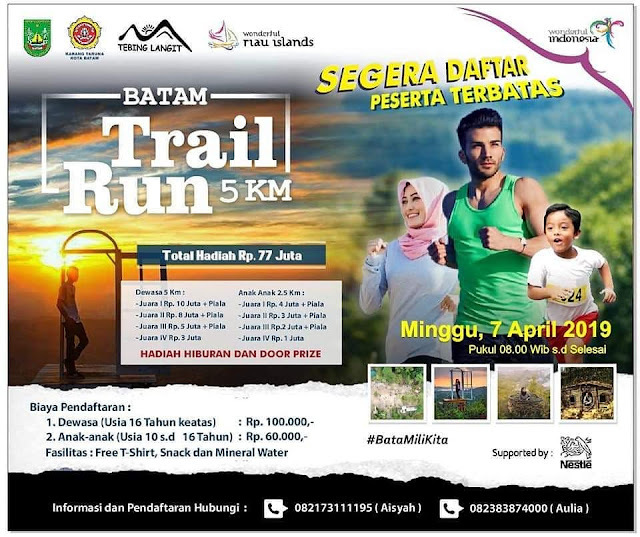 It is about 16 minutes drive from Klana Resort Seremban. From the picture, you already know that it is satay. But it is not something common as in other place. 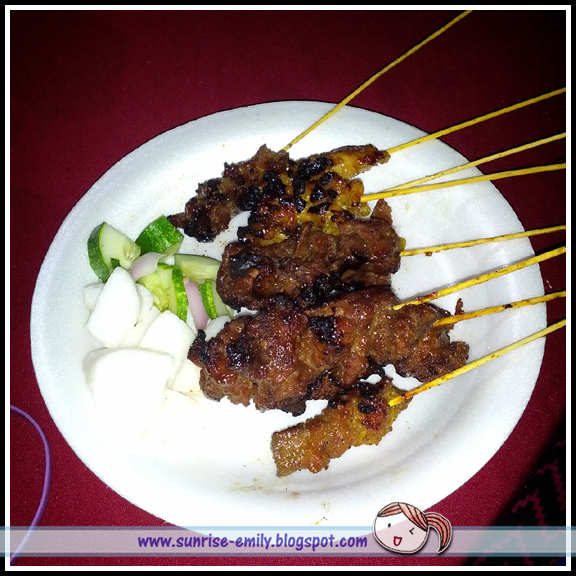 This satay is named Satay Tulang Jelebu (Jelebu Rib Satay). 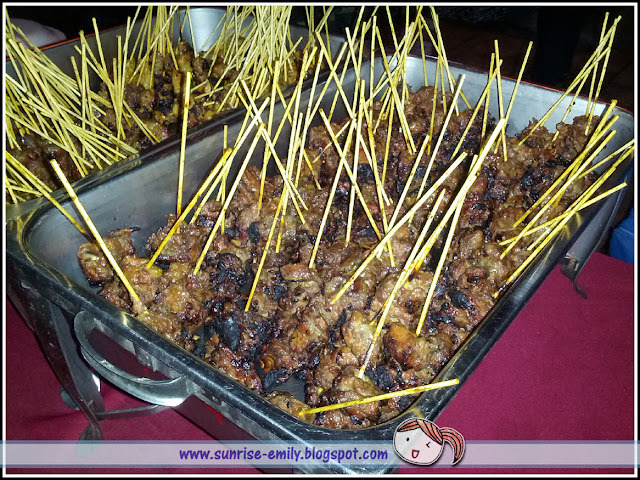 The satay is originated from a place called Jelebu, and as it made with tulang (rib) besides meat, therefore it is named Satay Tulang Jelebu. 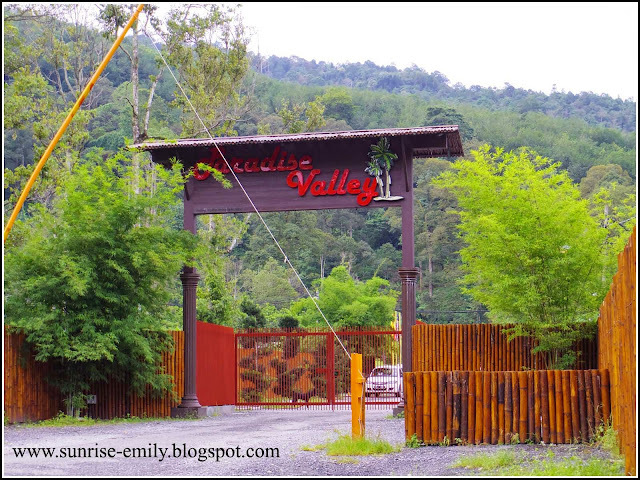 According to the business owner, satay tulang was invented by his ancestor before Malaysia gained independence. That time satay was sold with kandar (formidable stick that is slung across one’s shoulder to carry heavy objects that hang on both ends of the stick). The business is inherited till now, that is more than 57 years history. Currently Satay Tulang becomes added menu around Malaysia whereby no one knows about it before this.Their business getting better after hard work put in to promote Satay Tulang through Negeri Sembilan Tourism Promotion Program since 2003. Today it is well known among the local. 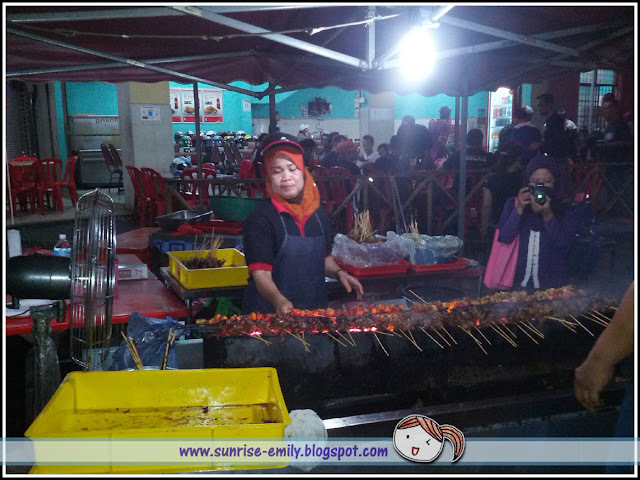 After that, a lot of other satay hawker starts to take initiative of making the satay tulang. Therefore, we see a lot of different satay tulang available in market such as Satay Tulang KL, Satay Tulang Senawang, Satay Tulang Kelantan and etc. 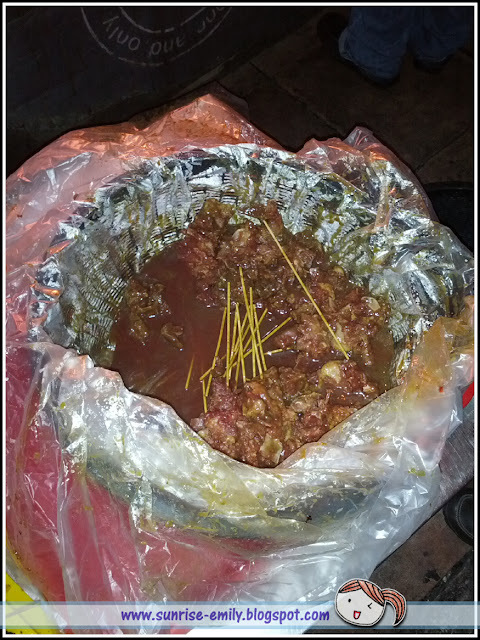 But the undeniable fact is that Satay Tulang Jelebu is the pioneer of satay tulang in the market. Satay Tulang Jelebu is favorited by many because the spices and mixtures in satay tulang is made and blended traditionally following the ancestor's recipe. Second, it is processed and sold without freezing too long so that the spices can be tasted till the last bite. 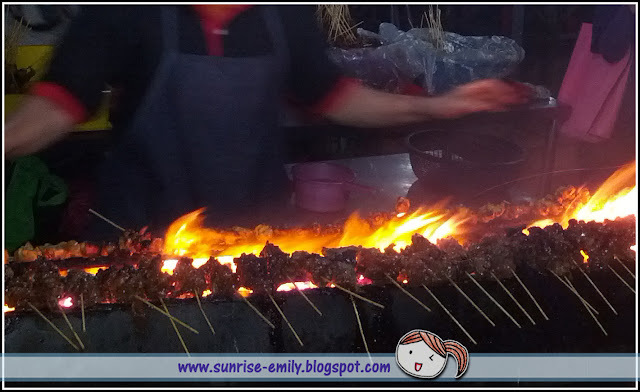 This step also makes sure that the satay stays fresh when taken into mouth. Even though the rib is hard basically but Satay Tulang Jelebu is crumbled when eat. Satay Tulang Jelebu paste is made with 70% of nuts from the total content. Thus, it is very tasty. When dip the satay to the paste, it will stick and stay on the satay itself. A complete set of satay comes with onions, cucumber and nasi himpit (tasteless white rice). 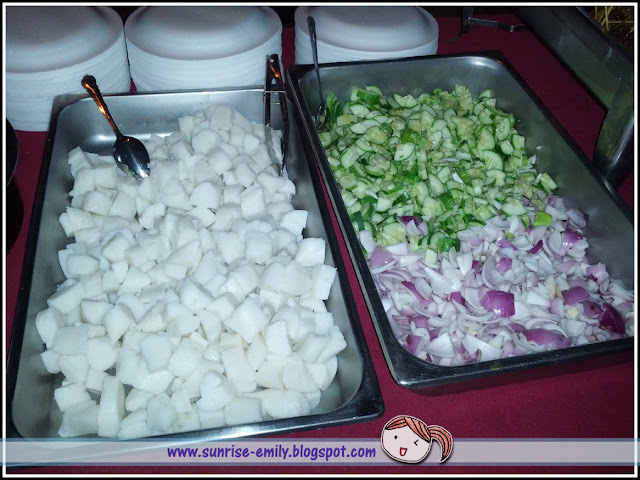 Of course you could just eat the grilled meat but it is advisable to eat the cucumber and onion to cool down the body. The nasi himpit on the other hand is just an add on to make one feel full. But normally I don't take as it is bland tasteless. 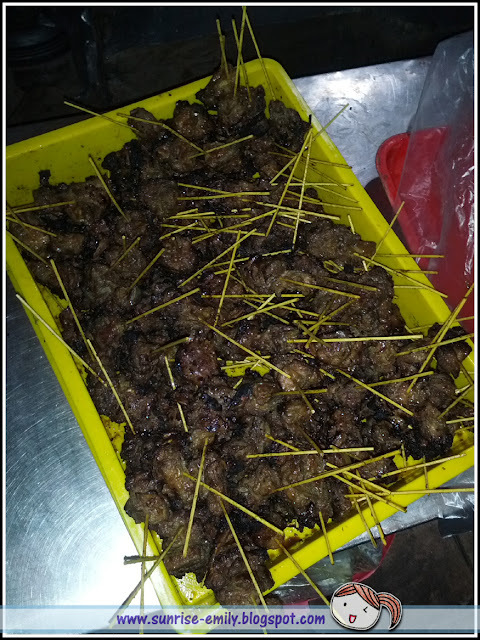 The current sales achievement of satay is about 2500 sticks per day. 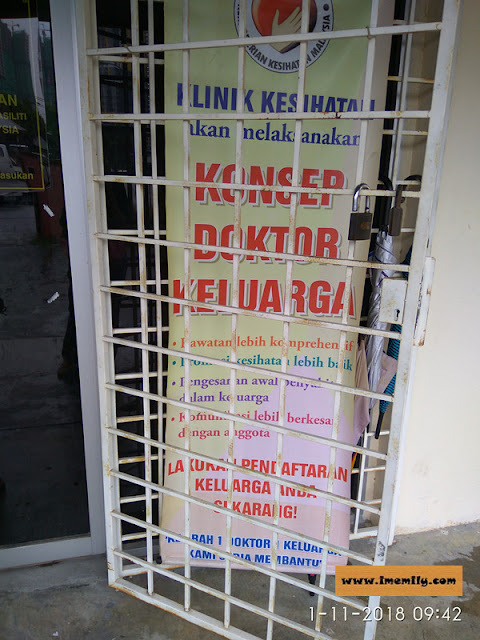 The number increasing during weekend and school holidays. There are visitors who come outside of Negeri Sembilan to have a taste of the well known Satay Tulang Jelebu. 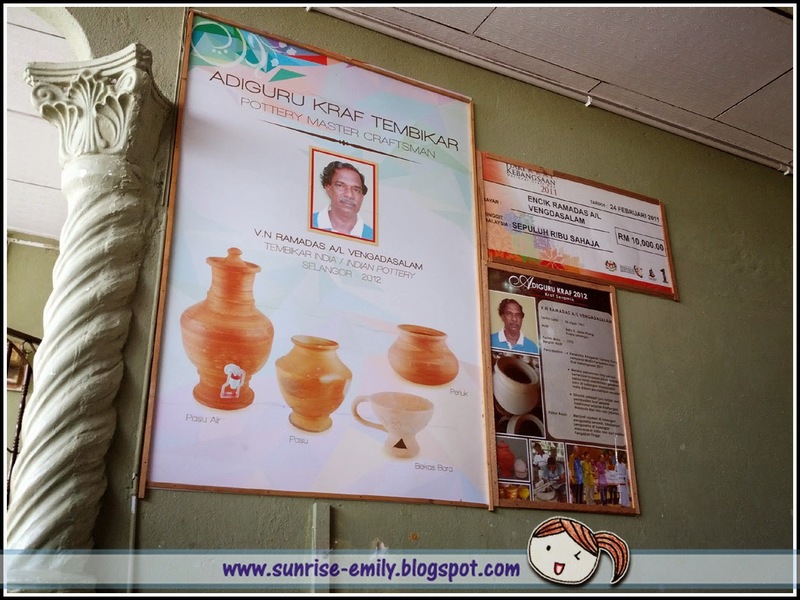 Apart from the Seri Menanti Royal Museum, here is another reason why you should travel to Negeri Sembilan! See you all in next post! Have a great weekend! What an interesting place, and the food looks yummy too! the foods looking so good, I miss my foods! This looks like such a cool place to visit *u* All the food looks AMAZING!<3 I would love to go there sometime ;A; Thanks for sharing! 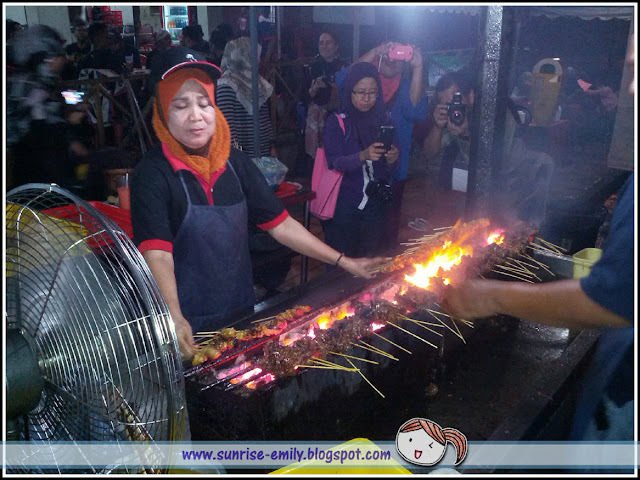 Satay looks like bbq here in the Phils, which is a fave street food here. Looks delish! 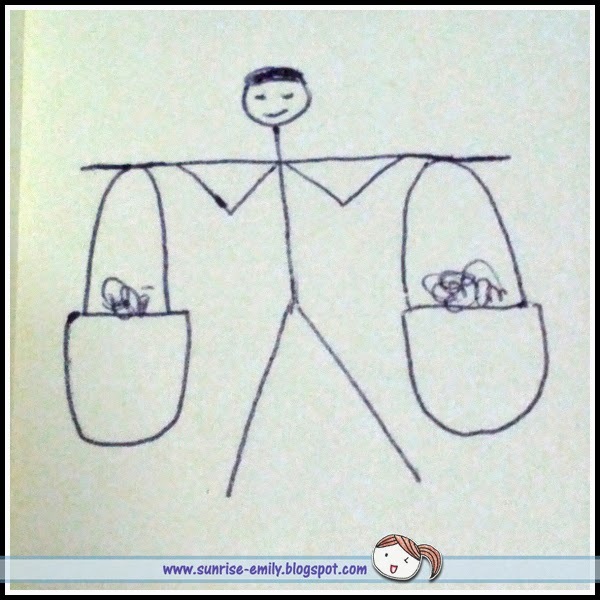 And that's a really cute drawing. 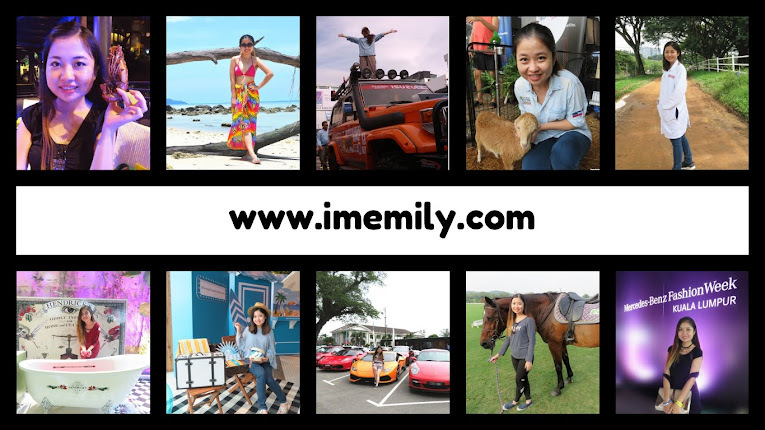 You always travel so much! Omg delicious I will love to eat one now. Yum - I love anything satay so this hawker stall looks awesome. whoa!!!! yummy!!!! the ribs must be reaaally good. looks very awesome! Great post dear!